Wonga, the UK’s biggest payday lender, is considering insolvency following a surge in customer compensation claims in recent weeks. On Sunday, the company confirmed that it was assessing “all options” after a sharp rise in complaints from customers claiming they should not have been given loans. Placing the UK business into administration is understood to be one option being considered by Wonga, which targets customers shunned by traditional lenders. 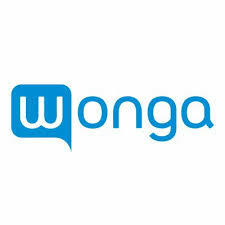 In addition to the UK market, Wonga also offers payday loans in Spain, Poland and South Africa. On Sunday, Sky News reported that Wonga had lined up Grant Thornton, the professional services firm, to handle a potential administration. Grant Thornton declined to comment. The development comes just three weeks after Wonga received a £10m lifeline from investors to help keep it afloat. In a statement, the company said the recently raised £10m was to address a significant increase in legacy loan complaints seen across the UK short term credit industry. “Since then, the number of complaints related to UK loans taken out before the current management team joined in 2014 has accelerated further, driven by claims management company activity,” said Wonga. “Against this claims backdrop, the Wonga Board continues to assess all options regarding the future of the group.” Wonga did not say by how much complaints had risen since its cash call. But the development comes a week after Elevate Credit, another short-term lender, warned high levels of customer complaints, driven by claims management companies, could put competitors out of business. Wonga launched in the UK in 2007 pledging to offer a service to borrowers who needed help with unexpected expenses and could not access credit from elsewhere. Its business model proved popular and Wonga processed millions of applications. But after years of profits driven by loans with interest rates that critics viewed as extortionate, Wonga has since struggled to adapt to stricter rules introduced in 2015 including a cap on the daily interest rate and fees that could be charged by payday lenders. The company’s year-on-year revenues plummeted to £77.3m from £217.2m in the full year to December 2015. Wonga customers have complained the lender allowed them to take out loans that they could not afford. Payday lenders are required to carry out sufficient checks before agreeing to lend. In the six months to December 2017, the Financial Ombudsman Service received 2,347 new complaints from Wonga customers. Just over half of all Wonga complaints resolved in that period, or 53 per cent, were upheld in favour of the consumer. In a statement to customers on its website, Wonga, said it had strengthened its lending criteria to “help ensure we only lend to people we believe can afford to repay”.